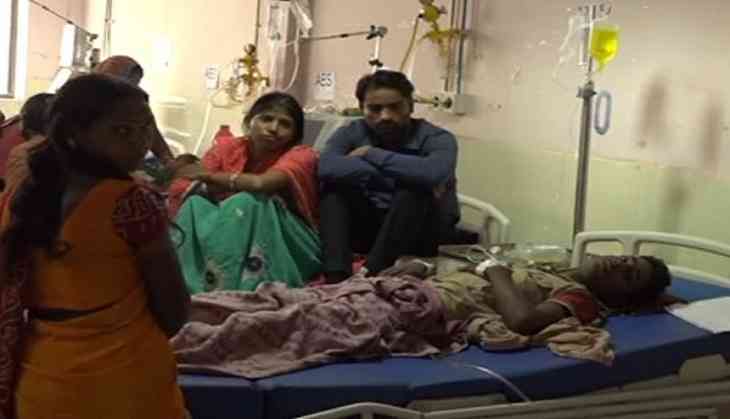 A day after reports of the death of at least 30 children within 48 hours at Gorakhpur's Baba Raghav Das (BRD) Medical College Hospital surfaced, patients on Monday complained of ineffective medications and negligence of doctors. Rahul Sahni, parent of a patient, told ANI: "I am here since three days. My son has pneumonia and the medicines prescribed by the doctors are not showing any positive effects. Moreover, the treatment is being delayed." Another parent, Surjit lamented that he had been taking rounds of the hospital since a month but doctors are unable to determine the cause of his son's illness. "My three-year-old child is suffering from fever. I have been taking rounds of hospitals since a month. I don't know what doctors are doing as the prescribed medicines are not helping here. Since a month my son is unwell but these doctors are unable to determine the cause," he said. Professor Dr D.K. Srivastava, Head of the department of Community Medicine, confirmed the deaths of at least 30 children. "15 infants were not even a month old. Six of the remaining 15, who were older than a month, passed away due to encephalitis. Others died due to various other reasons," Srivastava told ANI. Earlier, the Gorakhpur hospital was under the heat after more than 60 children died in a span of six days.